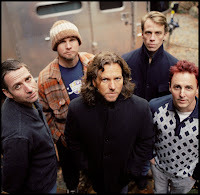 Pearl Jam, the best band in the world, will have their music featured on the CBS series Cold Case tonight in part one of the shows season finale. They will also be featured in part two which airs on May 10th. I have never seen this show but I will Tivo this. Read about it here.